cracking jokes the audience could connect with and singing local songs. If you like, be a professor at Harvard,Yale,Cambridge and Princeton at the same time, if you speak above the head of your electorate, you will lose elections. Reach their hearts first, then their heads. To win, you must mobilize & organize a movement of politically active people as evangelists, surrogates & advocates across your entire constituency. These people need direction & organization because they speak/campaign daily to your likely voters. They are the ones who will drive voters registration & drive the collection of PVCs in their units and wards. They are the ones that will paste your posters to areas you might not even know. They are the ones who will drive voter turnout on election day. If you like, cover your entire constituency with campaign materials, without this army of committed,passionate, very energetic people who are totally sold out to your candidacy, it is very unlikely you will win. one & emerge deflated because something has changed in your political calculations. Prepare for the emotional upheaval and uncertainty. Prepare for people you seemingly have convinced switching on you for various reasons. It costs money to print posters. Tshirts. Billboards. Innovative advertising. Jingles. Organize meetings. Fuel campaign vehicles daily. Mobilize your team. You will have to organize big rallies & even organize your supporters to parts of the state for other rallies. For example, Akin moves around with 10 vehicles,5 SUVs, 3 buses & 2 Hilux vans for security for campaigns. We fuelled one morning on our way out.Bill was 120,000. Just one day. Just one cost element among many others. It has been this way for weeks. And there are weeks to go. Your house will become a Mecca for all sorts of guests. Each day, @akinalabi cooks make food for at least 100 people. Campaign staff,supporters and guests. Lunch & dinner. Hotels for your guests and members of your team & other services. Sure you get the picture. If you don't have money, have a strategy and a team in place in place to raise money or find those who believe in your aspirations enough to raise money. Successful campaigns cost serious money. Unless you just want to contest for the sake of it. You are helping them & yourself. Akin campaigns everywhere for himself, his senatorial candidate, Teslim Folarin, his gubernatorial candidate, Bayo Adelabu, his House of Assembly candidate, Olamilekan Ibrahim aka Ultra Buhari as President. He campaigns for the entire ticket. construction/repairs. When the road is done, his people would consider him effective for getting the road done. They don't care who pays for it. They just want a road. They might even say Akin did the road. Itis easier to get big projects done if the governor is in your party. Buhari is still very popular. The undeniable reality is that Buhari is still extremely popular at the grassroots. On all our campaign stops,meetings, door to door activities,the electorate in Egbeda/OnaAra express their love for Buhari & their excitement at voting for him again. He is still strongly perceived as a man with impeccable integrity who is trying to rid Nigeria of corruption. It is not a view I share but I know for sure that he will win by a very wide margin in Ibadan. He is extremely popular there. Extremely popular. You have to educate your likely voters relentlessly. About how to identify your party,how to vote, where to vote,when to vote. In fact, we spent a lot of time telling voters which finger to use to vote to avoid voided votes. It is your job to give them as much information as possible to make sure they not only vote but vote right. If their vote doesn't count for you, wetin you gain? Your CV is not your real CV. Your real CV is what the electorate know you have done for them & how you have contributed to your community. If you plan to contest elections,start spending some of your knowledge,network,time & money in your community. 4 hours can cost you 4 years. The critical voting period is only 4 hours. All the work you have done in months or years will can be made or broken in that window. You must have a strategy and resources to manage that window. You must make sure your voters turn out,that they vote right, that your opponents don't manipulate to process to your detriment. If you rest on your oars in that 4 hours and don't optimize it, you will wait for another 4 years for another 4 hour window. Passionate young people.I am extremely proud of the work they have done to give Akin a great chance of winning on February 16th. I look forward to running the last mile with you guys later in February and celebrating @akinalabi victory when he is eventually returned as Honourable Member of Federal House of Representatives, Egbeda/Ona Ara Federal Constituency. One of the great tragedies of the Ambode's administration was what he did to sports here. Our late very dear Egbon Deji Tinubu & his team racked up over 100 events in their first year,most of them aimed at athlete discovery & development. It was a new dawn. What was even more pleasing was their focus on other sports. We had young boys & girls being given a statewide platform to participate in lesser known sports. I was thrilled & worked pro bono with @solaiyeps on some of these initiatives. They had a clear strategy. I remember visiting @solaiyeps at the office during SkoolLympics-a mini olympics for students across Lagos- & asking him how they were able to pull it off. They managed to attract full sponsorship from a bank within a few months, no mean feat,ask around. A thread on reactions to Tinubu’s son’s death. First things first, I am a father of 2. I cannot start to fathom the pain Tinubu feels and it is not something I wish on my worst enemy. #Ibadan today was #PDPSouthWestRally and the mobilisation from the states of the SW was massive. In order of size: my dearest Osun was number one. They were everywhere - seems the rivalry between Senator Ademola Adeleke and Akin Ogunbiyi is making them both work hard for Atiku. Ogunbiyi brought in like ten campaign vehicles all branded for Atiku and filled with people. Demola Adeleke also brought huge numbers in buses and one particularly funny limousine branded in campaign colours. Akogun Lere Oyewunmi was also massive everywhere, Peter Babalola too. Osun took over #Ibadan as though it was their territory - I can comfortably predict that PDP will win Osun for Atiku massively and win at least two senatorial seats. Even House of Assembly candidates like @faruqabbas mobilised down there for the #PDPSouthWestRally. The Indian startup world has a hoary tradition of exhorting people to become entrepreneurs. The classic trope of keynote speeches at startup events is to invoke glory, riches and social service to encourage salaried employees to start companies. A version of the same argument is used to encourage students to drop out of college and (gasp) even school. These exhortations are at best useless; at worst, they are dangerous. 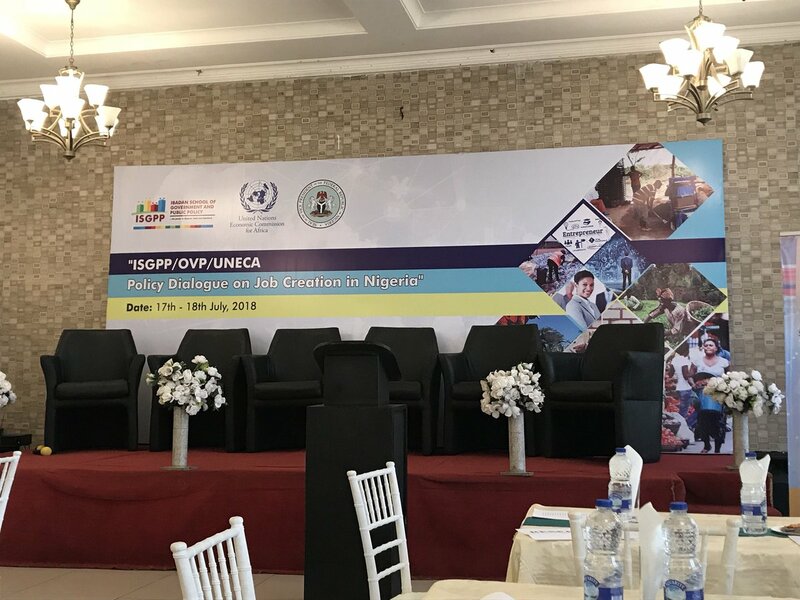 Invited to speak on Strategies of Job Creation in #Nigeria at a Policy Dialogue organised by the Ibadan School of Govt and Public Policy in conjunction with Office of the Vice President & the United Nations Economic Commission for Africa. Looking forward to a productive outing. I am in the midst of former VCs, Current VCs, Professor here and there, big big title LOOL and they’re all greeting like old school friends. 1) Iran protests continue despite #IRGC announcement claiming the opposite four days ago. On Saturday the 6th of January there were large protests in 8 cities but on Sunday the first wave of protests stopped and the second wave has now started. 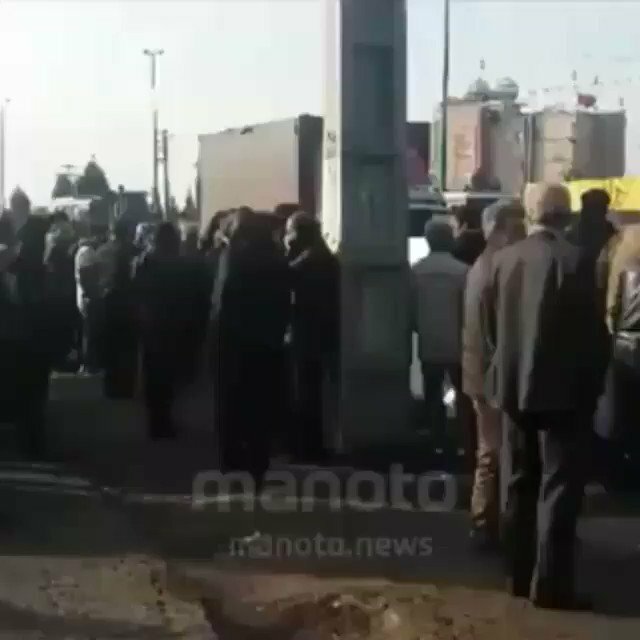 2) In some provinces (including in Hormozgān, ilam, Khuzestan etc) workers are now protesting by joining others in the cross country strikes, people are not paying their bills and Iranians are taking out their money from their bank accounts. 3) The aim is to cut the regime’s financial resources which it uses to fund its security forces, the very who have confronted protesters and killed 39 people in the past twelve days.